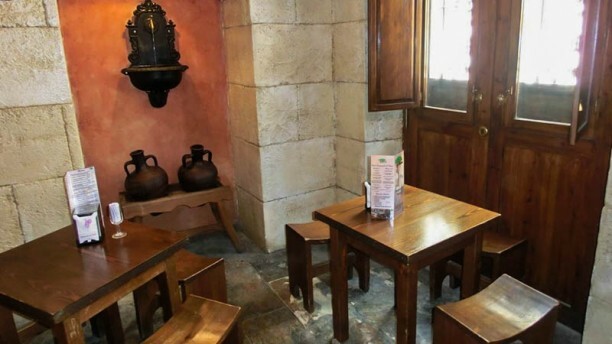 En el casco histórico de la ciudad de Almería, encontrarás La Encina, una casa típica andaluza donde podrás disfrutar de una exquisita cocina tradicional. Su carta está compuesta por sugerencias mediterráneas, donde destacan platos como la merluza en papillote, el picadillo de calabazas con boquerones so el solomillo de buey al foie. Deleita tu paladar en este referente gastronómico. La Encina te hará disfrutar de una comida sin igual. ¡Buen provecho! We really enjoyed our meal here, and what made it special was the great personal service from our waiter and other staff. Reasonable prices. Wine not chilled, wine not poured by waitress and charged two euro for the smallest roll which I didn't even eat, disappointed overall. My boyfriend and I were very excited to eat at la Encina, it received great reviews however we were disappointed. We ordered tapas and a litre of sangria which we throughly enjoyed however it went downhill from there. We ordered red wine which was not great and tasted more like port. I then went on to order the 'seabass and clams' that I had seen a picture of on tripadvisor and looked delicious. When the fish actually arrived it was 2 pieces of very badly cooked seabass in a gloopy sauce and cold clams. It looked nothing like the picture on tripadvisor. The taste was awful and the fish was definitely not fresh. When the waiter came over to check if our food was ok I told him about the fish. He just grunted. I did not manage to eat any of it and I was shocked when we received the bill that the fish was not taken off. We ended up paying 18 euros for fish that was not eaten at all. This experience was such a shame as we really enjoyed the tapas but because of the bad service towards the fish we will not return.